- one calling for the annulment the Council Decision of 16 April 2018, authorising the EU Commission to renegotiate the Fisheries Protocol with Morocco. Their reason for trying the EU Council? 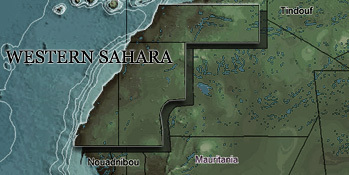 The agreements were being applied to Western Sahara. In the UK, Western Sahara Campaign UK - a solidarity group - brought action in the UK High Court against two British government agencies: Her Majesty’s Revenue and Customs (HRMC) and the Secretary of State for the Environment, Food and Rural Affairs (DEFRA). Western Sahara Campaign UK argued that the UK was unlawfully allowing products, originating from or processed in Western Sahara, to be imported into the country under a trade agreement with Morocco. Through the links below, find timelines of key-events for each of these court cases. In chronological order.